Having a chance to meet and greet one of the phenomenal singers in the world is the best feeling a person could have. Indeed, who else would refuse to grab this opportunity, right? 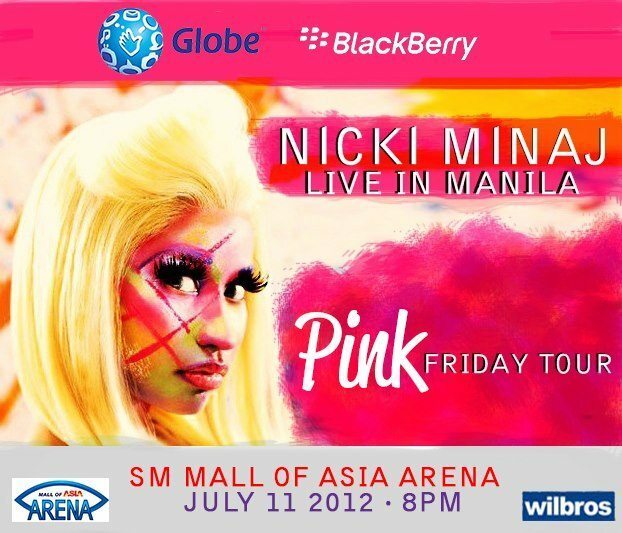 BlackBerry Pilipinas made it possible, together with Globe Postpaid by bringing Nicki Minaj in the country for an exclusive concert party which was held last Wednesday- July 11, 2012 at SM MOA Arena. Being a BlackBerry (BB) user gave me a chance to see Nicki Minaj but then I didn’t choose to use BB because of it instead, there are lots of features this phone has to offer to every user. I love BBM so much because you can easily send and receive messages in seconds and it’s in real time too. You could as well see the one you’re contacting with if he/she does typing something for you, and not just that, you will know when your messages are delivered and read. BBM user could send photos/voicenotes anywhere in the world, which makes this unique from any other phones. The BB community itself reached out to fans. And not too long, I’ve been part of the Cliff & Ray’s BlackBerry group (Cliff Ho and Ray Gillenwater). Cliff Ho is an international VJ and TV host while Ray Gillenwater, the former RIM Country Manager for the Philippines. Anyway, they had an event exclusive for the Cliff & Ray’s group members where they came up with videoke party and of course contest as well. They have given out BB Bold 9900 and trip to Boracay. Luckily, one of the winners was my husband, he got a BB 9900. Then, there was a member who came from Davao just to attend the event (which held in Makati), so BB gave him a Playbook to show their appreciation. Nevertheless, there are plenty of activities where were lined-up not just for our group but of course to all fans of BlackBerry Pilipinas too. 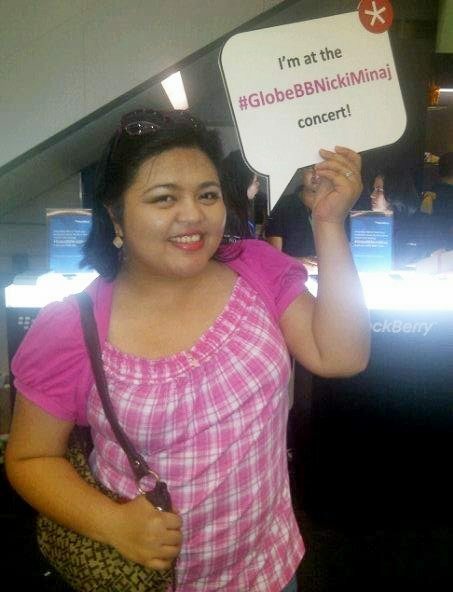 And there, I have given a chance not just to watch the concert of Nicki Minaj but of course to “Meet and Greet” her personally! With that, even though I am quite sick I still grabbed the chance. This opportunity only happens once in a lifetime, of course why hesitate to grab it, right? Because of my excitement, I just slept for 2 hours. (Oh, just too excited for the concert, huh). In the event, we arrived at 6pm and guess what? There were plenty of people who are in line already. As expected, since BlackBerry Pilipinas announced that they are giving away BlackBerry shirts to first 100 attendees! Front act started exactly 8pm but we stayed in lobby instead because we waited for our colleagues (the other members of Cliff and Ray group) to arrive too. It was 9pm when Nicki Minaj’s concert started. We’re quite far from stage but it’s still okay. And when she went out in stage, we just screamed. (There you go; the excitement had come out, lol). Though the concert was short still we could see that people had really enjoyed the said event. 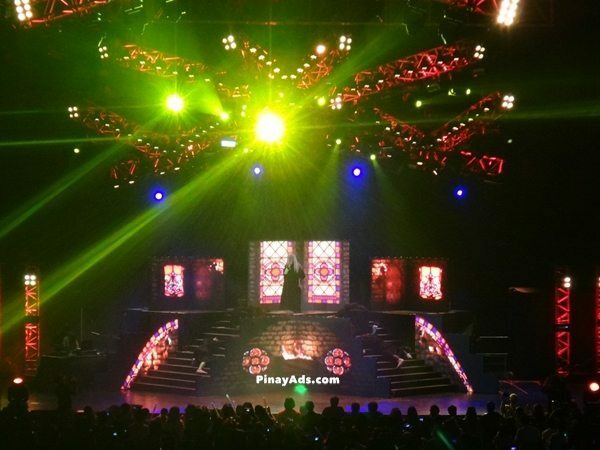 Nicki Minaj’s energy just rocked out the SM Moa Arena and so the people too. The sad part was I haven’t seen the finale because we had to run to the backstage for the “Meet and Greet” but good thing that there are videos in youtube which I can still see what happened on the last part. 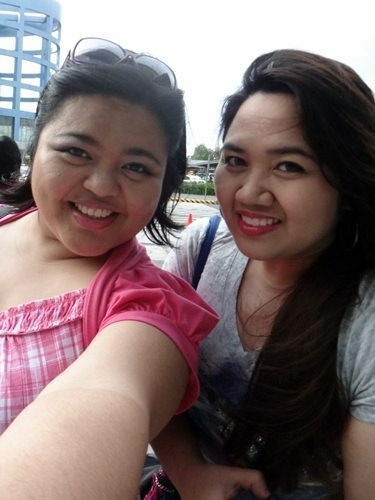 During meet and greet we were not allowed to use our own camera, hence we have to wait for the official photos instead. And when our group’s turn, it was just like happened in seconds. She was inches away from me. After the photo opp, she waved to us and say bye. And she’s not snobbish too because when Nicki got into the car, she opened the window and waved to her fans which rarely happens to foreign performers. Thanks to BlackBerry Pilipinas for giving us one unforgettable party! To be updated with the latest happening around BlackBerry like events and future projects for their fans, then like them on facebook at https://www.facebook.com/BlackBerryPH. Previous Post: « Way to Trouble?